We find it useful to have full squad lists in front of us while watching a match. Find below Real Madrid’s and Barcelona’s, pulled from Wikipedia (with links conveniently preserved, so that you can click thru to each player’s entry), as well as each team’s starting XIs for today’s El Clasico. Spain obviously dominates the squads–but Barcelona’s much more than Madrid’s. 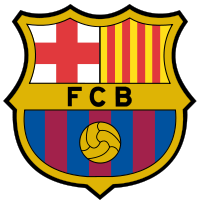 In fact, Barcelona’s starting lineup consists of the core of Spain’s World Cup winning lineup (Pique, Puyol, Busquets, Xavi, Iniesta, Pedro Villa), with a couple wingbacks slotted in (Dani Alves certainly; and either Abidal, Maxwell or Adriano on the other side)–plus Messi front and center. The other Spanish starters start for Madrid: Iker Casillas, Xabi Alonso, Sergio Ramos. (Well, 7+3=10; the one missing Spanish starter from this match is Joan Capdevila, who plays for Villareal.) 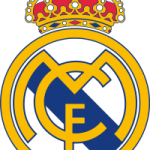 The rest of Madrid’s starting lineup is pulled from Portugal (Cristiano Ronaldo, Ricardo Carvalho, Pepe), Germany (Mesut Ozil, Sami Khedira), Argentina (Gonzalo Higuain, Angel di Maria) and Brazil (Marcelo). Although today we get Benzema (France) starting in place of Higuain due to injury. 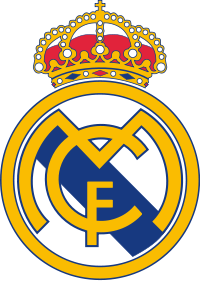 Starting XI: Casillas; Ramos, Pepe, Carvalho, Marcelo; Khedira, Alonso; Di Maria, Ozil, Ronaldo; Benzema. Next PostBarça over Madrid: Tiki-Taka To La Manita!